I have had to learn things by doing, failing, learning and starting from scratch multiple times. To help you shortcut your path to success in today’s dynamic fashion landscape, here are seven lessons that I wish someone had told me when I started. Creativity is key to your success as a fashion entrepreneur, but so is your ability to understand, discover and hone in on your target market. 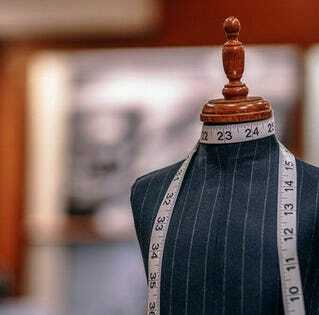 If you are creating clothing designs out of thin air, don’t be surprised if no one is interested in your collections. A better approach in today’s world of fast fashion with quickly changing trends is to have a clear idea of what the people want before you start stitching. You might be rudely surprised to find that the fashion industry is dominated by a legacy culture based on generations of wealth being handed down. If you want to understand what happens behind the scenes of fashion, find yourself a good fashion mentor — someone who has learned and worked in the business from the back to the front ends of the design process, all the way through manufacturing and retail sales. By seeking out someone who has the inside secrets and connections that pass down through generations of industry leaders, you will gain insights that others simply won’t have access to. Fabric waste is a real problem. I have seen so much waste of fabric left over from designs. Consumers today care about sustainable brands, so if you want people to take your designs seriously, you need to learn how to cut your fabric in a way that leaves little to no waste. The most talented designers play with their patterns until they can get an amazing garment outlined in the most efficient way. Make sure that you insist on being part of the layout process — don’t leave it to someone else. When I see designers concerned about the use of their fabric, I know that they are well-seasoned and thus very resourceful.